Easy to start, effective and reliable. 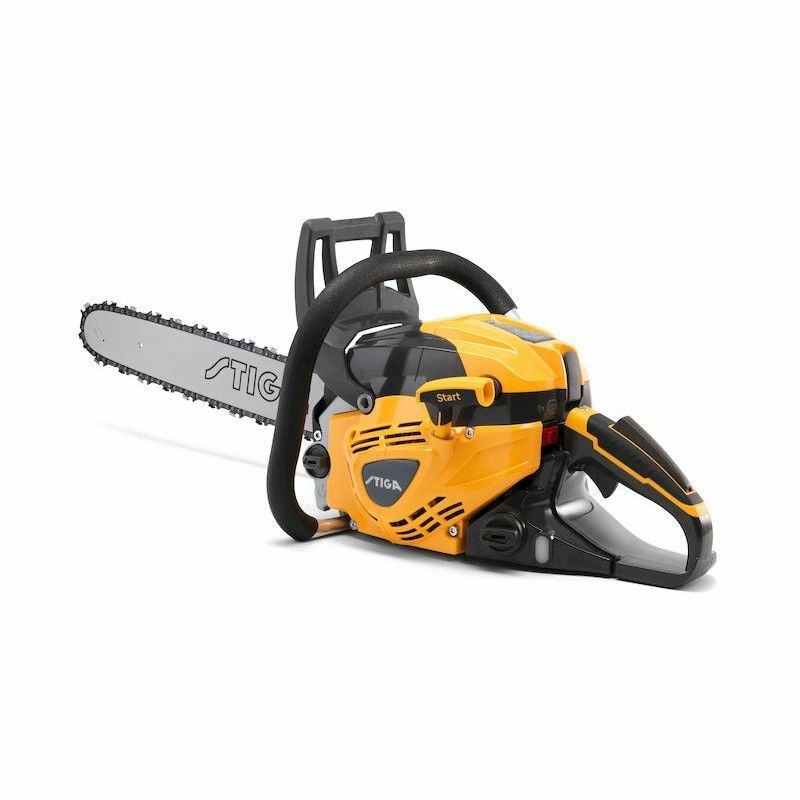 The Stiga SP 526 18'' chainsaw is the perfect solution to cut wood, branches and trunks in a few steps, while enjoying your working time and using it effectively. Chainsaw engine: 52 cc (2.3 kW) engine. Cutting system: the Stiga SP 526 chainsaw is equipped with an 18'' (45 cm) bar and a premium quality chain. Chain speed: it can reach a speed of 23.1 m/s. Magnesium crankcase: it ensures solidity, lightness and [a] faster cooling. Cylinder-piston assy: a new technology designed to reduce fuel consumption. Decompression valve: for a more comfortable starting procedure. 3-piece crankshaft: its characteristic structure delivers less structural stress to the chainsaw. Extra comfort: the key and screwdriver tool is comfortably placed under the rear handle.